The left in the NSW Greens have suffered another blow, with the left’s candidate Kelly Marks losing to the more conservative candidate, Dawn Walker, in the pre-selection for a spot in the NSW upper house. Kelly is a former staffer for NSW MP John Kaye, whose tragic death in May deprived the party of one of its most left-wing MPs. Her defeat comes hard on the heels of the result earlier this year when the explicit right-wing candidate Justin Field won pre-selection for Kaye’s former seat. After Field’s election, the right went openly on the attack against the left of the party in NSW. The left had some preliminary discussions about forming a faction to resist the right—but these initiatives seem to have stalled as the left seemed unable to work out how to fight. One initial left meeting seems to have gone no further, after some argued against announcing there was a faction publicly or building it among Greens members. Now the pre-selection result has starkly revealed the left’s weakness. This underscores the urgency of the situation. Politics abhors a vacuum—and unless the left seriously organises, there will only be more defeats. The rank and file vote in the pre-selection was slightly up for both sides, but to get only 1000 votes out of a membership of around 5000 indicates that the left is not as well organised at the rank and file level, as it needs to be. The left needs to do much more to focus clearly on shifting the party from its trajectory towards being completely concentrated on electoral politics. Dawn Walker, a small business owner from the Northern Rivers, essentially campaigned around the same issues as Justin Field, primarily on environmental concerns at the expense of wider class and social justice issues. The left avoided explicitly arguing around the issues that have divided the NSW Greens between left and right—like the dispute over BDS and Palestine, how some MPs have flouted accountability to the State Delegates’ Council and the party membership, or the dispute over having a party leader in NSW. Kelly Marks’ campaign talked about the need for MPs to be accountable, but without explaining why this had been a problem in the NSW Greens and how some MPs were not prepared to be democratically accountable. 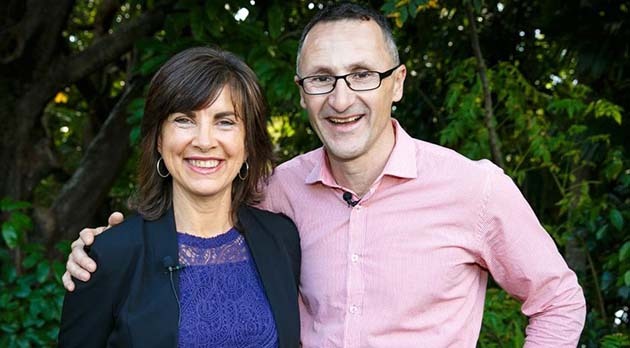 Without raising these issues, and connecting them to a different vision about what kind of party The Greens should be, the political differences between pre-selection candidates, to many, remain unclear. Dawn Walker made much of her small business background and promoted the need to court votes from small business—similar to the line being pushed nationally by Di Natale. The left did not attempt to challenge this kind of strategic orientation. It needed to put forward an alternative based on an orientation to trade unions and the working class, and a focus on mobilising for the strategic fights outside of parliament. Having won two pre-selection contests in a row, the NSW right (and the right nationally) will be further emboldened. They are well resourced and determined to assert their agenda. Their agenda will have to be fought. The discussion about forming a left faction, and what it stands for, cannot be postponed any longer. In response to Walker’s success, many left supporters are arguing that the right only won because they breached party rules. There’s nothing new about that—the right have always been willing to push the envelope on the party rules. But, relying on “the rules” is probably not going to make any practical difference and it can be a diversion from the left politically organising to challenge the trajectory being dictated by the right. Support for the left will be built by making the real political divisions inside the party clear, and through articulating an alternative political strategy. The fight in the NSW Greens is a microcosm of the conscious shift to the right in The Greens nationally. Federal leader Richard Di Natale’s more pragmatic approach to “getting outcomes” in the Senate reflects a deliberate move away from activism and struggle to an increasingly electoralist focus on playing the numbers game in parliament. The Greens were established as a party of protest out of social movements like the Franklin Dam campaign. But increasingly the party has been lured by parliament and the idea of “making a difference” in government. There is a fight for the soul of the Greens. Unless the left begins to fight for a political approach that goes beyond electoralism, to systemically orient to the working class base that has traditionally looked to Labor, and base the party itself on actually building campaigns outside of parliament, the right will keep on winning. I was the main author, but our editors made a few changes. It’s no secret so I’ve added it above.